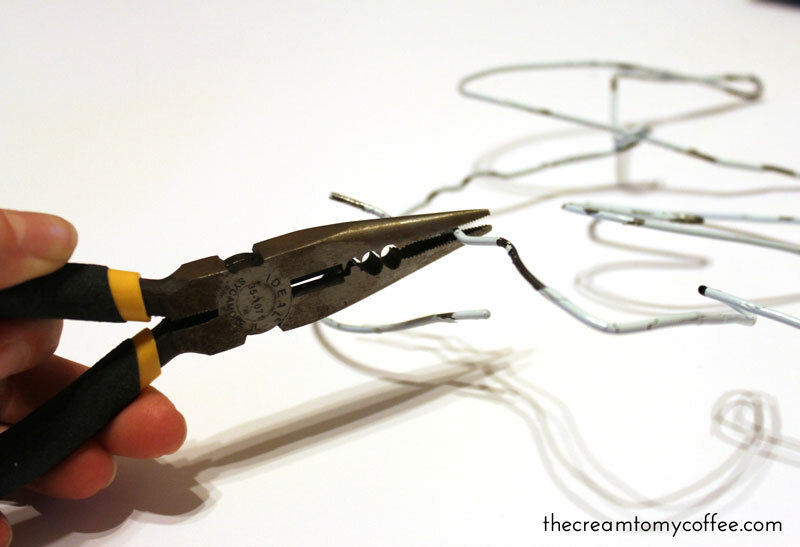 Step 1: Use the needlenose pliers to create your letters. This is relatively easy, just keep a couple of things in mind. First, your letters aren't going to be perfect (at least mine weren't). Secondly, be strategic about the space you'll need for each letter. 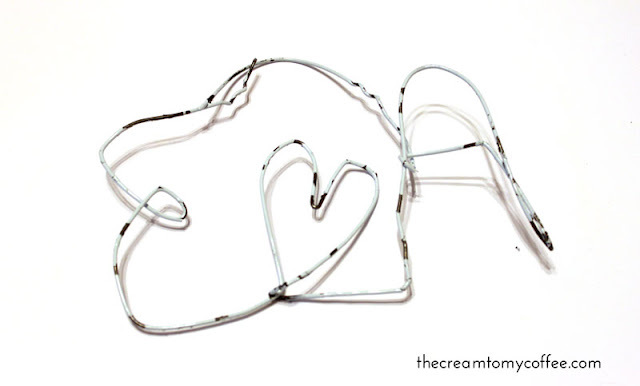 I planned on making each letter much bigger, but I realized one wire hanger didn't give me as much space as I thought. Make sure that you have a plan for each letter to connect to one another. 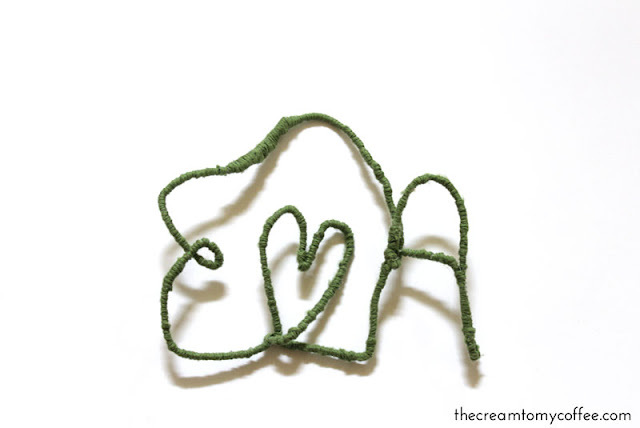 For my letters that meant a few twists and turns. Step 2: Close off the ends of the hanger by wrapping them in tape (not shown). I simply wrapped the two lose ends shown here in washi tape to close it off. It doesn't need to look pretty, but make sure you wrap them tightly. 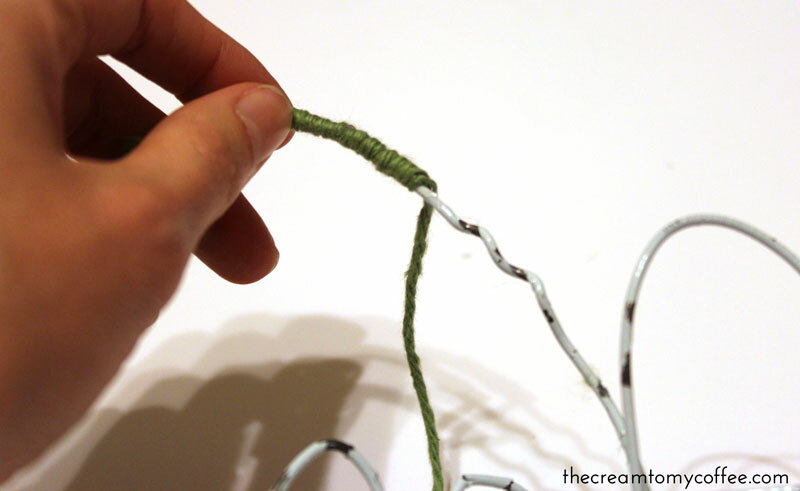 Step 3: Wrap yarn around the wire, keeping it in place with hot glue. 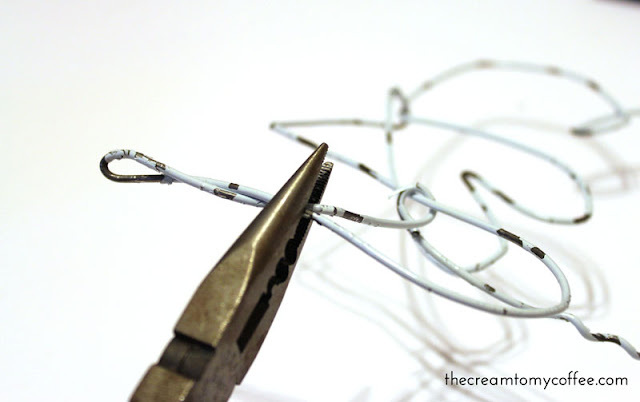 Squeeze a little glue on the wire and then wrap a few times before the glue dries. Repeat until the wire is completely covered in yarn. Step 4: Step back and marvel at your work. It's OK if you think it looks like a 4th grader made it. It's all part of the charm, right? 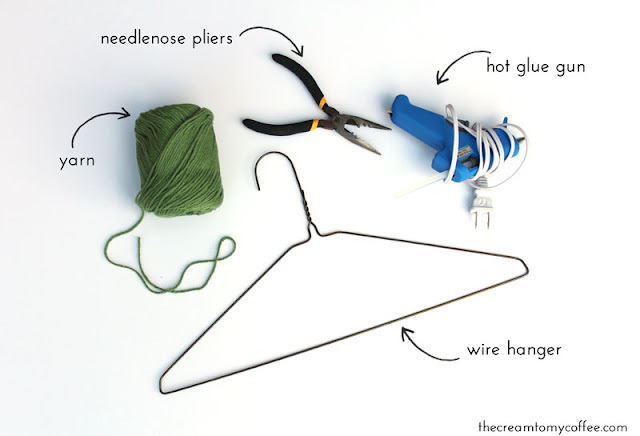 Aw this is so cute and (seemingly) easy! I love how it turned out! The way all the letters flow together is awesome! So cute! Since your talented at wire bending I think you would be awesome at making those wire name hangers. I actually ordered with my new last name for my wedding dress...but wish I made my own instead! 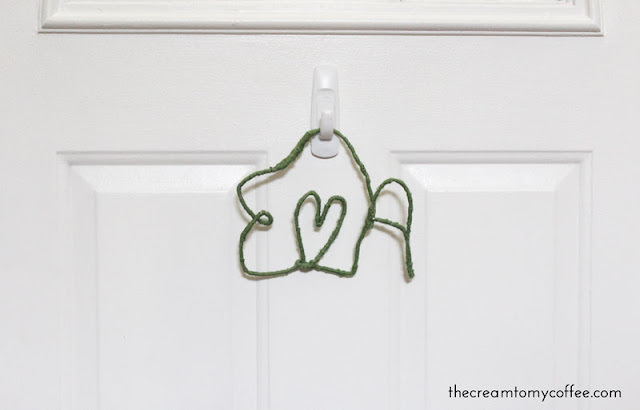 Hope you can try this one and blog your results...would love to see how it turns out! That looks so adorable! I'm definitely going to have to keep this in mind when I'm in need of some easy decor. I think I can actually make this, which is good. I'm not crafty at all. Thanks for sharing. so much fun! Looks very cute! And original..